The majority of racing games tend to focus exclusively on the cars. Y’know - driving the cars, racing the cars, tuning the cars, etc. But Formula 1 is about more than that, as some of the theatre of the sport is played out in the media. 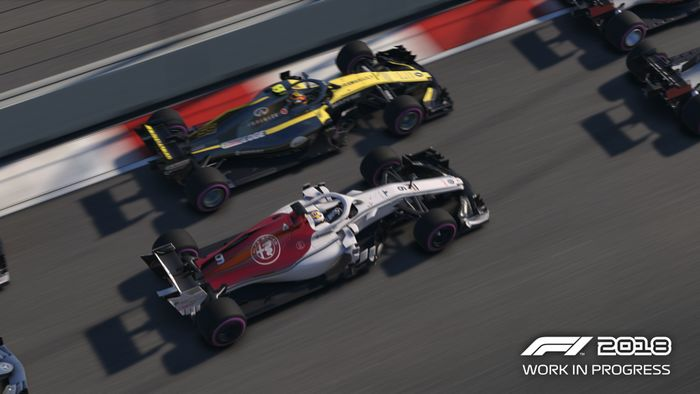 Codemasters is set to make the most of that in the upcoming F1 2018. 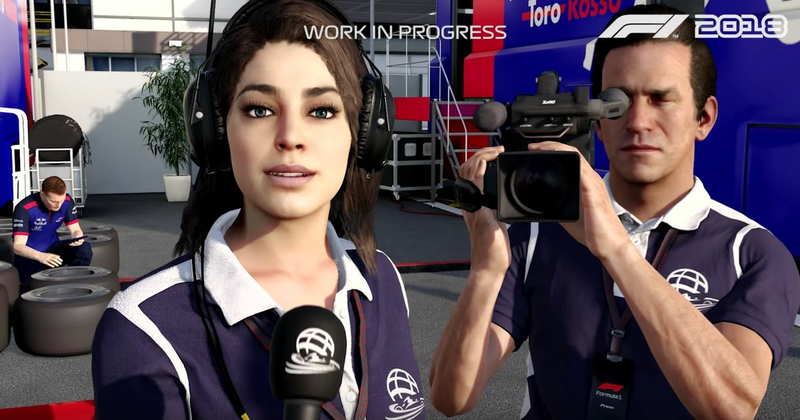 As you progress through the career mode, you’ll be faced with questions from ‘Claire the reporter’ about things like how your race went, what your expectations are, or how the car feels. Do you praise your engineers for their hard work, or take the opportunity to big yourself up? If thanks haven’t gone well, do you blame the team, or own up to your own mistakes? The answers you give will have an impact on how your career goes. Some teams will love it if you say what you feel, others will prefer a more straight-laced team player. Be too harsh on your team, however, and morale will decrease, car upgrades will take longer to appear and will potentially become less effective. The answers you can give will become tailored to you over time as well, so you’ll really have a chance to develop your in-game character. If done well it’ll create a delicate balancing act. You could be doing everything right on the circuit to get a drive with, say, Ferrari, but if the team doesn’t like the way you conduct yourself off-track, you won’t be getting offered a contract. You’ll also be able to be a bit more proactive by approaching rival teams about drives and choosing who you see as your main rival in the championship. It’s exciting to see some RPG-like elements being added to a racing game and should give the career mode some good replay value. You could effectively play through it as a different ‘character’ each time. You could even ignore everything and be the strong silent type, although Kimi Raikkonen already has that approach covered. 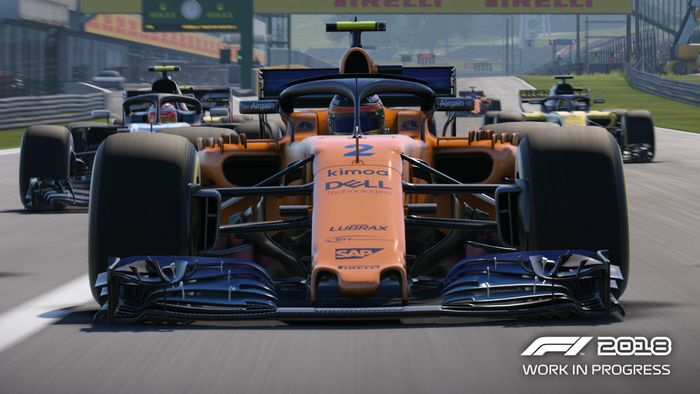 F1 2018 launches on PC, PS4 and Xbox One on 24 August.